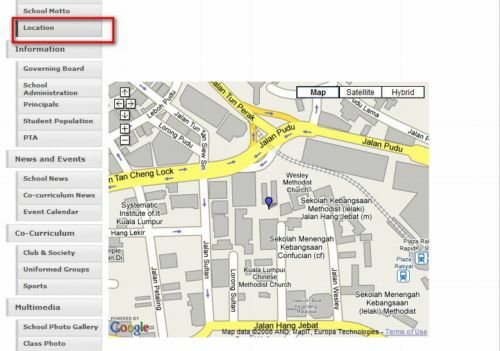 We’d built in iSchool Portal with school’s location maps tagged on Google Maps and embedded in SMJK Web Portal. 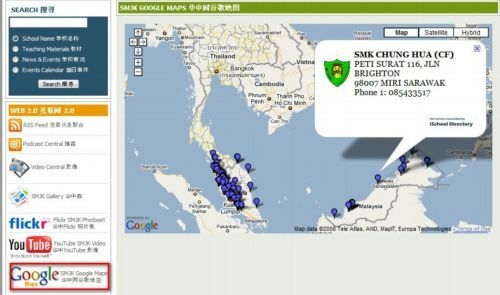 This maps shows the locations for all SMJK schools in Malaysia as shown below. School’s name, address and phone number will be displayed respectively while clicking on the blue anchor mark on the map. For the respective SMJK school site, we’d also embedded the School location tagged on Google Maps in About Us –> Location page as shown below.